My name is Ashley and I am the wife and mom behind Pencilled Daydream. 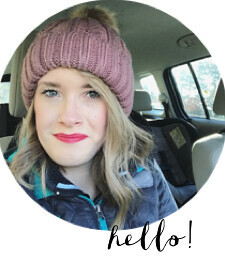 I love writing and sharing our life through my blog…where you can expect to find my perspective on life as a wife, the ups and downs of mommy- hood, the Christian life, and my fun daydreams. I started a blog after having my first son Elias and have had so much fun sharing our journey. Now that I’ve had my second son Owen, and am pregnant with my third, I’m in full fledge mommy mode. Because Mackenzie is in full fledge mommy mode too, and about to move and start a church, I thought it would be fun to help give her a day to pack while sharing some fun summer activities with you. I have so enjoyed this summer with my baby boys and hope you have a great summer too! Here are 21 fun things to do with kids this summer. Go to a library class. Have a day at the lake. Go to a splash pad, or a water park. Look at the stars together at night. What do you love to do with your kiddos during the summer?